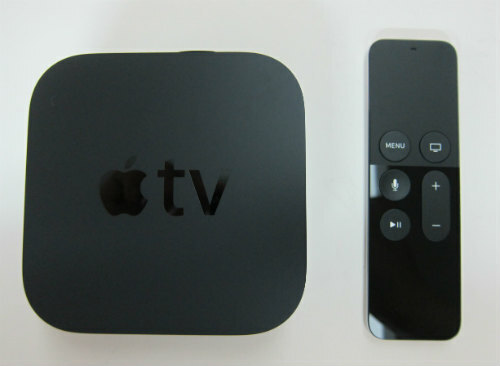 The “Apple TV” is a unique set-top box that provides an innovative TV experience with Siri and Touch, which is an a built-in App Store with apps for content, games, and more. The new Apple TV is propelled by powerful new hardware, tons of content, games, and much more more on the App Store. The Touch surface on the new Siri Remote allows you to interact with your TV, creating a connected experience with a screen that’s across the room. With Siri, figuring out what to watch is as easy as just asking. With apps, Apple TV lets you customize your personal tv viewing experience. By communicating with Siri using only your voice, it’s easy to find movies and TV shows, navigate onscreen, control playback, and get up to date sports scores, stock quotes, and weather reports. search across many popular apps simultaneously, so there’s no need to go in and out of apps. It offers Built-in App Store which features great content, high-performance games, and other app categories catering to the 21st century living room—like fitness, education, and shopping. With the 4th generation, support is available popular Apple TV features, such as AirPlay and Family Sharing. It’s available in 32GB or 64GB options to store apps to fit your needs.